Francis I of Austria, the last monarch to rule over the Holy Roman Empire, was obsessed with flowers. His Imperial Gardens, where he realized his passion remain one of Vienna’s most beloved treasures. In 1791, Francis I commissioned Matthias Schumtzer to paint portraits of every flower in the garden—a project that took more than three decades to complete. Until now, only six of the extant 1,300 paintings have ever been published. This collection features one hundred of the most outstanding of Schmutzer’s watercolors. Painted life-size, the flowers range from the exotic to the common. A fascinating text offers biographical information about Francis I, descriptions of the Imperial Gardens in the ruler’s time, and photographs of how they appear today. A significant contribution to horticultural history, this unique and beautifully presented book will delight lovers of botanical art and Europhiles alike. this work is an invaluable reference source for experienced collectors and new enthusiasts alike. The lively text documents the magnificent full color illustrations,botanical prints produced by notable artists of the 17th century through the turn of the twentieth. Chronicles one of the twenty-four wildly adventurous expeditions throughout Tibet, China, and Southeast Asia, in search of rare and elusive plant species including the legendary Tibetan blue poppy. Drawn from writings out of print for almost seventy-five years. The Lore and Legends section of irises is very seldom found in books. I highly recommend the 'Magic of Irises for the gardener wih interest in irises. This book was nominated for an American Horticultural Society Award. Drawing inspiration from the Seven Deadly Sins, Stewart Lee Allen serves up a scintillating history of forbidden foods through the ages and how these taboos have defined cultures around the world. from prehistoric times to the present. A tour in words and pictures of Cezanne's restored garden in Aix-en-Provence, where Marilyn Monroe was one of its early visitors. Cezanne remains one of the world's most beloved impressionist painters, and almost 100,000 visitors each year flock to Les Lauves, his studio and garden. Derek Fell's book offers a fresh insight to the man, his artistic legacy, his unique garden philosophy, and the natural worlds that inspired him. Hard cover, 130 pages, full color. This book is no mere gardening how-to, though it contains a wealth of practical information for every serious gardener. Rather, The Passionate Gardener is a unique book about a celebrated German poet's remarkable search for the relationship between human society and the vegetable kingdom. 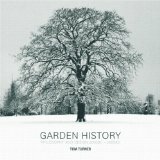 The author begins with a discourse on "The Flower and the Human Being," exploring the ancient origins of that relationship through mythology, legend and language and goes on to explore the meaning of gardens and gardening by tracing their historical evolution from the most ancient notions of the garden. the unbelievable true story of how a beautiful flower changed the course of history, from the medieval courts of the Ottoman sultans to the futures market of Holland's golden age. Comprehensive and scientifically accurate guide to the best-known and most important medicinal plants, including those of special commercial or historical interest. Flower mythology and plant lore lists each flower alphabetically with its meanings, medicinal properties, related superstitions, and recipes for ancient magic spells, complemented by illustrations of the Flower Fairies. This newly published book uses more than 400 colour photographs, 150 colour plans and 30 style diagrams to present and explain the development of gardens between 2000 B.C. and 2000 A.D. The story extends from Egypt and West Asia to Europe, the Americas and beyond. It includes developments in art, philosophy and the social use of outdoor space throughout the period." Tom Turner's overview makes a large subject accessible to a wide range of readers, with particular emphasis on the philosophy of garden design and the resultant styles. Its unique approach makes it both the ideal concise introduction for the general reader and a structured analysis for the specialist, relating design styles to each other, to philosophical ideas and to the fine arts. This is a delightful book. Maureen Carroll (C.) has produced a broad but concise overview of what we know of ancient gardens in the Mediterranean and ancient Near East using primarily archaeological evidence, judiciously supported by the occasional text. As one would expect from a Getty publication, it is beautifully produced, with 92 crisp, clear, and for the most part colour illustrations. Donald Peattie was a best-selling author who introduced readers nationwide to the wonders of the natural world.This book is a reprint ofthe 1939 original on the history of the plant kingdom. Amazing Rare Things: The Art of Natural History in the Age of Discovery by David Attenborough, Susan Owens, Martin Clayton and Rea Alexandratos, published by Royal Collection Publications (224 pages, 160 colour illustrations). The extraordinary exhibition that has been selected from the collections of the Royal Library by curators of the Royal Collection in collaboration with the distinguished naturalist and broadcaster Sir David Attenborough. Jacques Bosser provides the historical background and explains the uniqueness of each garden. 152 images and 12 gatefolds featuring spectacular panoramic photographs. Includes Bev McConnell's "Ayrlies" and Gordon Collier's "Titoki Point". A beautiful volume dedicated to female botanical illustrators who worked between the early 1700s and the early 1900s. An extended introduction prefaces the book. The author also touches on the need that many of these women felt to publish their work anonymously rather than to be vilified by their peers and critics. The main focus of the book is the biographical information provided about the female artists, along with their work. This fascinating book is a mind-expanding collection of facts, folklore, superstitions, myths, and anecdotes about trees and the forest. Included are descriptions of old forests; forest customs; temples and sacred groves; and mythical forest creatures such as witches, fairies, demons, wood spirits, the "wild huntsman, " and wood nymphs. Facts and fables about individual trees, including famous trees, tree worship, people's transformations into trees, and disposal of the dead in trees -- as well as folklore about fossil trees, tree bark, leaves and thorns, divining rods, and Yule logs. A treasury for naturalists, anthropologists, students of folklore, and general readers alike. The Friend of Trees' chairman, who is working to save the endangered yew in the UK, explores what trees have meant to humans in practical and symbolic terms throughout history. Tree profiles from acacia to yew feature botanical and sociocultural information and color photos. Printed on paper aptly produced from managed sustainable forests, the book includes a botanical glossary and notes on trees' roles in traditional medicine. well written stories about the eccentric collectors of rare orchids. A collection of myths celebrating the rich symbolism of trees, all bringing to life a time when the natural world was deeply respected and trees and forests were thought to be inhabited by spirits and divine beings. The stories flowers tell are not what one might expect: here are tales of human strife, of ambitious explorers, doomed monarchs, and dogged scientists, and of the world's folk beliefs. Illustrated with more than 100 drawings. Borchardt (1877-1945),was an eccentric and obscure German poet and translator. He declared " Human beings build gardens in order to give real substance, whether passing or enduring, to a lost world that fills the mind with unappeasable longing. William Woys Weaver explains the history of outstanding heirlooms, along with growing advice and recipes.